To attract capital in today’s environment, you need a clear, compelling financing proposal. With so much riding on this document, it’s startling that so many miss the mark. This article provides a simple yet effective winning formula. When Michelangelo agreed to paint the back wall of the Sistine Chapel, he probably didn’t realize what he was getting into. His boss, Pope Clement VII, was demanding – “show everything that the art of drawing can achieve”; his critics were relentless – “better suited to a bath house than the chapel of a Pope”; and anyway, he considered himself a sculptor, not a painter. But eight years later, his masterpiece was finished. 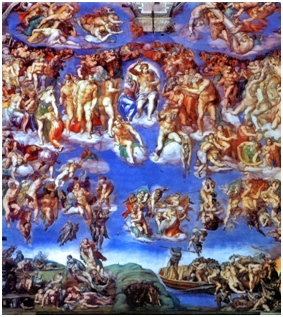 The Last Judgement epitomizes the Italian Renaissance and has awed generations. Fast forwarding five centuries from frescoes to finance, CFOs can sympathize with Michelangelo’s plight. Sourcing capital in today’s competitive investment environment is tough. Financiers are a skeptical lot, and their mood isn’t getting any brighter. Take venture capital. Compared to the delirious heyday a decade ago, investors are ever more cautious and conservative. Total Canadian VC activity for 2014 will likely top $2 billion; but this is a mere shadow of the $5.8 billion committed back in the dot-com days of 2000. To successfully attract capital, it seems as if Michelangelo’s divine creativity won’t suffice; you also need Raphael’s artistic boldness and Da Vinci’s technical genius. The artistic crucible for these capital-raising efforts is the financing proposal. This is the crucial document that sells your project. Like a CV that leads to a job interview, a good proposal hooks the capital so you can reel it in. This document has many monikers. Sometimes it’s called an information memorandum or prospectus; more often than not, it’s just referred to as “the business plan”. But make no mistake, a financing proposal has a special approach with a special goal for a special audience: it is a risk-based document which conveys the financial attractiveness of a venture to a financier. Unfortunately, very few financial proposals succeed. Most die a quick and ignoble death in the in-trays of bankers and investors. Why? Because most are poorly thought through and badly presented. A recent industry round-table concluded that the “quality and presentation of project information may be the single most important factor in attracting lenders to the project.” Financiers typically have to slog through tens – even hundreds – of proposals to find one worth pursuing. So much for the bad news. Before you leap from a boardroom window with a clutch of stock options, keep in mind that good financing proposals (and good ventures) still attract capital. How? By constructing a clear, concise, compelling document that resonates with the financier. Above we described the financing proposal as being special in approach, goal, and audience. These three dimensions define the steps to success. At first glance, they sound simple enough, maybe even trite. But like the artist who must successfully transform the sketchbook to the canvass, there is a rich and complex interplay of factors that can make the difference between a winning proposal and an ignominious failure. And since a great financing proposal, like great art, is ultimately in the eye of the beholder, let’s start with the audience and work our way backward. “Know your audience” sounds like an over-used maxim, but most financing proposals stumble here. Like any effective communication tool, a financial proposal should tailor its content to resonate with its target audience. The key, then, is to understand both the differences and the similarities among various audiences. There are, of course, countless types of financiers: commercial banks, investment banks, government agencies, venture capitalists, angel investors, and institutional investors, to name but a few. Each type approaches financing opportunities from a different angle: lender-types look for good cash flow and an ability to service debt; investor-types seek strong financial returns and an ability to influence management. Moreover, within each type, particular entities (that is to say, Bank A versus Bank B) have unique preferences, mandates, and motivations: some like new technologies, others prefer traditional industries; some invest domestically, others look offshore; some seek out early-stage ventures, others prefer later-stage. It is critically important to research these various preferences, mandates, and motivations when developing and refining your financing proposal. The Internet is an excellent place to start, as many financiers provide their mission statements, financing criteria, and sector/geographic preferences on-line. Financial industry associations are also useful information sources. For example, the Canadian Venture Capital Association (www.cvca.ca), offers detailed listings of all member VC firms, including key contacts, types of financings, and investment preferences. Also, most financiers welcome preliminary calls or meetings to discuss their financing criteria and approach. A skeptical, conservative bunch. They typically look for reasons to say no before seeing if there is a reason to say yes. Driven by a risk-return mentality. They are willing to take risk if it holds the promise for attractive return. A crucial corollary is that they must be able to understand and assess the risks. Guided by their rational (not emotional) response to a proposal, especially since such proposals must eventually be sold to their rational (and typically unemotional) approval committees. Busy people. Since they have money on offer, they tend to be popular and in demand, which means they have limited time to decide if a proposal is worth pursuing. So financiers are a skeptical, conservative, busy bunch with a rational risk-return mentality and unique information requirements. A tough audience, for sure, but an appreciation for these qualities lights the path for the next step to success. Financiers make their money by correctly assessing and managing risks. Further, as we’ve said, they’re busy people, so the best financing proposals favour punchy, risk-based analysis instead of wordy, descriptive prose. Risk-based analysis helps the financier understand what the main risks are, which ones are most important, and how they can be managed (or even minimized). For example, say a company wishes to market a new technology for wireless data transfer. A good proposal will analyze – in order of importance – the inherent technology risks, such as time to market, product efficacy, regulatory hurdles, and consumer demand. A great proposal will go an extra step to explain how each risk factor can be mitigated: for instance, “time to market” risk may be low because the product uses the same technology platform as the company’s previous product release. To help guide the financier and organize your analysis, risks should be grouped into main categories such as management, market, operations, technology, financial, country/political, and legal/ regulatory. It’s also helpful to include, at the end of the proposal, a risk summary table which recaps the main risks and associated mitigating factors. Once all risks are identified and analyzed, the proposal must then convince the financier that these risks are worth taking. Normally, this is done via a financial forecast model. These models normally include detailed assumptions, forecasted financial statements, and financial ratios. More sophisticated models provide “sensitivity analysis” to help demonstrate financial viability even if key assumptions turn out less rosy than expected. The goal of the financial model is to translate the proposal’s qualitative risk analysis into quantitative financial analysis in a way that fits with the financier’s risk-return mentality. In practice, this means clearly linking the model’s key assumptions to the proposal’s main risk elements. Further, the model must present an attractive proposition to the financier: a good return on invested capital for the investor; or a healthy debt-service margin for the lender. If not, then the financier’s capital will seek out higher returns (or lower risks) elsewhere. As mentioned, the financing proposal is the initial hook to attract capital, but how big a hook do you need? Are you casually casting to see if anyone bites, or do you want to create a feeding frenzy? Give careful thought up-front, because financing proposals can be complex and time-consuming affairs costing considerable time, money, and energy. Unless you’re sure that a given financier wants to see a highly detailed proposal with extensive supporting documentation, your best bet is to start with a summary proposal. Summary proposals respect (and reflect) the financier’s hectic and harried life. They cover the same ground as a full detailed plan, but presents the information at a higher, more general level. Well-prepared summary proposals can be scanned and grasped within a few minutes, or dug into deeper if desired. This approach benefits you and your financier. It’s easy for the financier to digest the plan, get hooked, and proceed to more detailed discussions. Meanwhile, you minimize the time and money needed to gauge initial financing interest. As the project gains momentum, individual aspects of the proposal can be evolved and refined to provide greater detail and comfort. Finally, recall the reference above to the importance of the quality and presentation of project information. More than simply “form over content”, this can be the difference between failure and success. Often, the financing proposal is your first and only chance to make a good impression. Since financiers look for reasons to say no, a shoddy proposal doesn’t stand a chance. Thus, it’s no surprise that successful proposals are clear and concise. They read well. They use good grammar. They don’t have typos. To succeed, every edge helps. Appeal to the visual as well as the rational by making effective use of graphics such as logos, photos, text boxes, tables, and graphs. Include company brochures, product descriptions, and glossy marketing material. Finally, regardless of project size, spend enough time, money, and effort to produce an attractive document. This means using a professional print shop, high-quality colour printing, and professional binding. The up-front investment can pay handsome rewards in the end. Now you know the three steps to a successful financing proposal. By understanding the approach, the goal, and the audience, you’ll craft your oeuvre d’art to the highest critical standards, and set you well on your way to attracting the capital you desire. And by the way, even Michelangelo understood the financial pay-off with compelling work. The Last Judgement earned him a life stipend of 1,200 scudi a year, the 16th-century’s equivalent of a perpetual dividend.